Chelsea's Brain pressure level 37! Don't want it to go over 20! Stopped ALL VISITORS cuz it's causing her to be combatible & blood pressure going too high. Waiting 4 surgeon to come in w/a plan. Subject: RE: Please pray for Chelsea Easley! Will be praying hard for Chelsea. This is the girl that fell while trail riding near her home? I didn't click on the link, if I change screens too much it freezes my computer up. Location: In The Land of Cotton Many prayers for this young lady and her medical team too. cinch - 2010-08-09 2:24 PM Will be praying hard for Chelsea. This is the girl that fell while trail riding near her home? I didn't click on the link, if I change screens too much it freezes my computer up. Yes, she was riding in a field or woods, not sure which. No one knows how or why she came off the horse, but the blow was to the back of her head. I'm guessing the horse's hoof hit her. 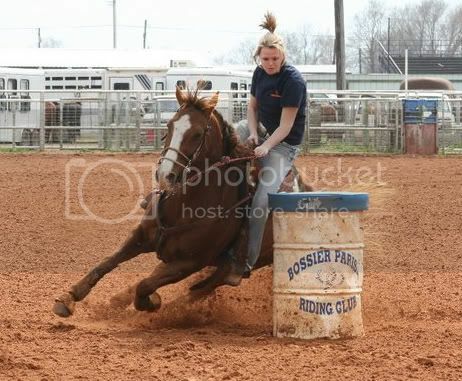 She has been a barrel racer since she was a very little girl. I will try to post a pic of her. Your prayers are appreciated. Location: OH. IO many prayers for this young girl,and the doctors treating her,I pray things turn around very quickly. Location: Louisiana I have permission from the photographer Kyle Davis to post this pic of Chelsea.